This unique and highly desired gemstone reflects colours that change with the light, rich and powerful green when the sun touches it and deep red with the light of night. 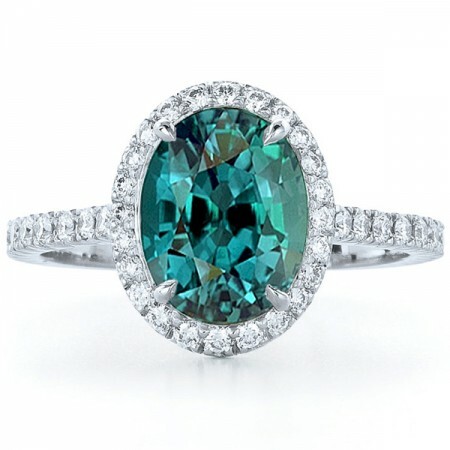 Alexandrite displays a colour change dependent upon the nature of ambient lighting. It shows green in daylight (sunlight) and changes to red in artificial light. Because of this it is unique and highly desired. This colour change effect is best seen in thicker larger stones. According to a popular story, alexandrite was discovered by a Finnish mineralogist in the 1800’s and named alexandrite in honour of the Tsar Alexander II of Russia. Alexandrite up to 5 carats (1,000 mg) and larger were traditionally thought to be found only in the Ural Mountains. Other deposits are located in India (Andhra Pradesh), Madagascar, and Sri Lanka. Alexandrite in sizes over 3 carats are very rare.